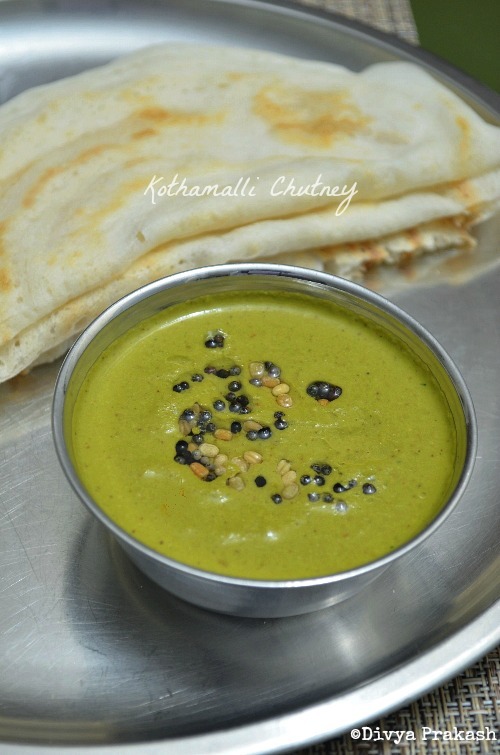 Today I am posting a simple chutney recipe- Kothamalli|Cilantro chutney made with coconut. It is my favorite chutney. I love cilantro flavor a lot and also its color. 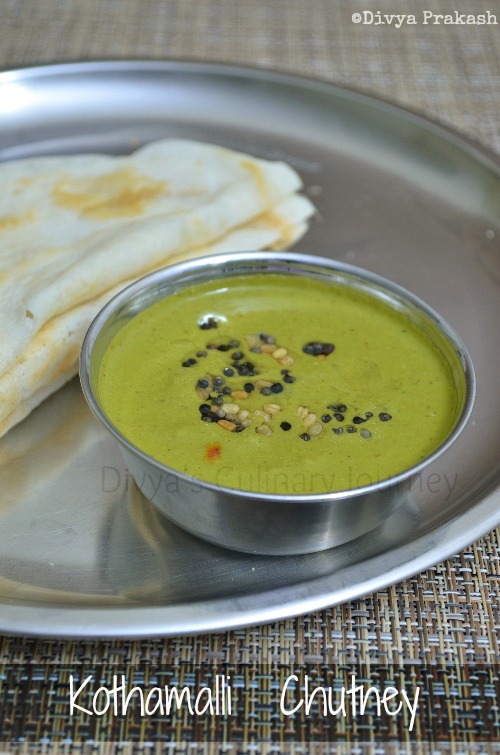 Also it is very easy to make and it is a wonderful side dish for Idly & Dosa. 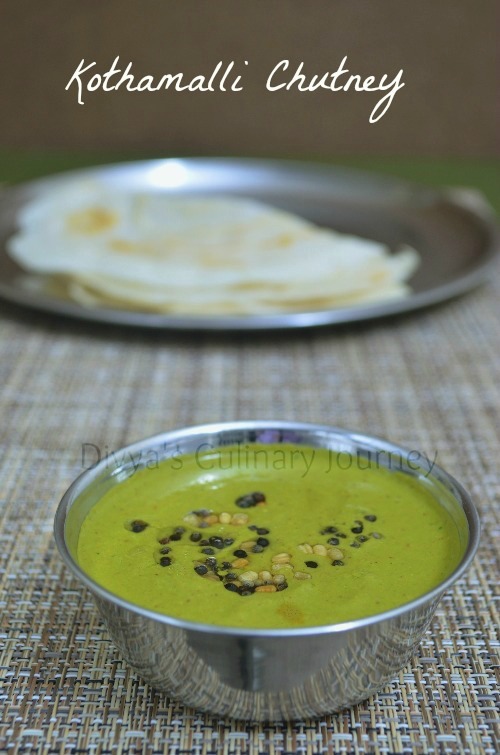 How to make Coriander chutney? Grind cilantro, green chillies, grated coconut and tamarind into a fine paste. Add little water if needed while grinding. Add the required salt, adjust the thickness/ consistency of chutney adding water as per your preference. Then heat oil in a skillet, add mustard seeds and when they crack add urad dhal and fry for a minute or two till they are lightly brown. Turn off the heat and add this tempering to chutney, mix well and Serve. looks very tempting n irresistible. Chutney looks yummy...Never made it this way though have used it for biryani side..
Yummy chutney.. I always prepare immediately after grocery shopping when my corianders are fresh..
Yummy mouthwatering chutney...love to eat dosa with it. Adada, green chutneyoda antha dosa,super sis, oru parcel please..
nice color chutney. i can have it with roti too. Yummy chutney for idlis and dosas..